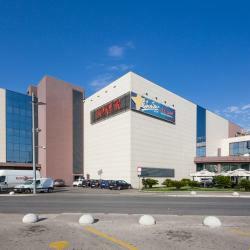 Looking for hotels near Poljud Stadium? Located 600 metres from the waterfront in Split, Apartment Belavista is a modern apartment with free WiFi, a private balcony, and free private parking. Boasting a terrace, Luxury Apartment offers accommodation in Split, 3.3 km from Diocletian's Palace and 5 km from Znjan Beach. This apartment offers a 24-hour front desk and free WiFi. Situated within 1 km of Diocletian's Palace in Split, Apartments Tonis offers accommodation with a flat-screen TV. Complimentary WiFi is available. 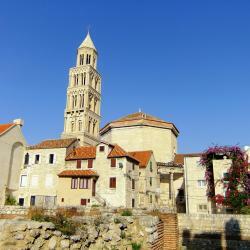 Apartment Antonia 2 is a self-catering accommodation located in Split. 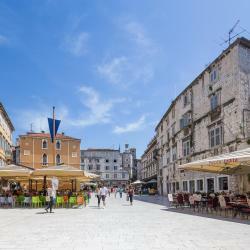 Free WiFi access is available and the property is 1 km from Diocletian’s Palace. Situated within the Poljud district in Split, APARTMENT "Patricia" has air conditioning, a balcony, and garden views. 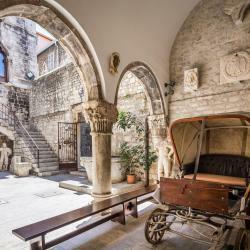 Featuring 4-star accommodation, Hotel Agava Split is set in Split, 700 metres from Diocletian's Palace and 300 metres from Republic Square - Prokurative. This 4-star hotel offers free WiFi. 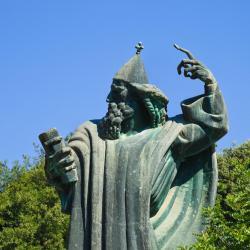 I love Old Town in Split with restaurants and bars. Offering free WiFi and a terrace, Il Giardino Luxury Rooms & Suites offers rooms in Split, 700 metres from Diocletian's Palace and 3.8 km from Znjan Beach. The hotel with wonderful view! Staff was great, so kind, informative. Located in Split, about 2 km from its historic core and the UNESCO-protected Diocletian's Palace, Hotel Ora offers a restaurant, free WiFi and a fitness centre. Newly remodeled with unique and beautifully furnished. Kind receiption. Located in Split, 600 metres from Diocletian's Palace, Vida Boutique Hotel boasts air-conditioned rooms with free WiFi throughout the property. Guests can enjoy the on-site bar. We loved everything about the place. Located in the centre of Split, just a 2-minute walk from the UNESCO-protected Diocletian's Palace, Cornaro Hotel offers a rooftop terrace with a hot tub and a bar, as well as free WiFi and a 24-hour... Excelent hotel in a fantastic spot. Breakfast was fantastic and had many good options. 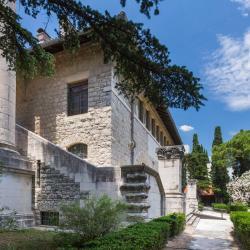 Housed in a 10th-century Romanesque landmark, Villa Split Heritage Hotel is located within the UNESCO-listed Diocletian’s Palace in Split. This hotel is a hidden gem. The room was beautiful. We stayed in the annex and it was outstanding. 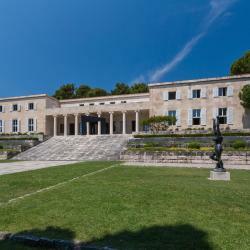 Opened in July 2017 and offering a spa centre, a rooftop outdoor pool, and a restaurant, Marvie Hotel is located in Split, 1.5 km from Diocletian's Palace and 650 metres from the nearest beach. My experiences at the Marvie Hotel exceeded my expectations by far. Hotels with great access to Poljud Stadium! 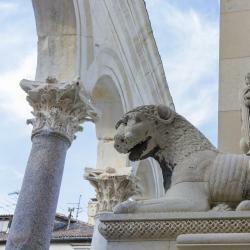 Heritage Hotel Antique Split is set within UNESCO-listed Diocletian's Palace in Split. Elegantly furnished interiors are fitted with air conditioning and free WiFi access. Heritage Hotel Antique Split is amazing!! Hotel Cvita in Split has 4-star accommodation with an outdoor swimming pool, a fitness centre and a spa & wellness centre. Among the various facilities are a garden and a terrace. Great hotel, new, clean and high-class. Personal was very nice and helpful. 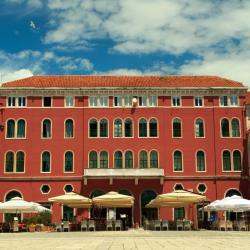 Offering a terrace and views of the garden, Heritage Hotel 19 is situated in the Split City Centre district in Split. Guests can enjoy the on-site bar. All rooms are fitted with a flat-screen TV. Elegantly and nicely designed boutique hotel. Take a small cushion with you as the seats are very uncomfortable and by the end of a match you could be quite sore. Be aware that if you are from the UK you may be a little shocked at some of the pyrotechnics used. The 'bangers' sounded more like bombs than a firework. Not sure if this is legal in Croatia as we were thoroughly searched on entry (don't know what they were looking for). This said we saw no sign of trouble and felt very safe. Apart from the "Ultra's" who were all on the North stand the crowd was made up of friendly well behaved fans of all ages. Beware: lots of beer gets consumed here. Beware: lots of beer gets consumed here. Especially in games such as Hajduk Split and Dynamo Zagreb, the crowd gets very raucus and, for the faint-hearted may seem a little threatening. Crowd antics may seem unrelated to the match being played out. Crowd is a spectacle in its own right.